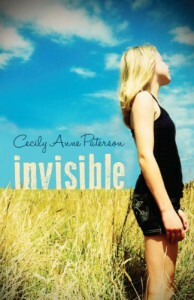 I was pleasantly surprised by Invisible. I really enjoyed it. I wasn't expecting it to tackle a lot of the issues that were addressed. I have a little issue that I think could have been addressed earlier in the book: The setting was unclear. From the language, I assumed the book was set in the U.K. but about half way in Sydney was mentioned and I had one of those "Wait a second..." moments. It's set in Australia! Also, it muddled my feelings toward the characters when I found out they were only twelve/thirteen. They seemed a lot more mature. As a result, I don't feel I can give it four stars, even thought I want to. It is a great read, so don't take my three stars as a bad criticism. When I got it, it was a Kindle Freebie, and it more than met my expectations, and if I'm honest, it is better than some books I have paid money for. Wow, what fantastic sequel! I don’t remember reading a second book in a trilogy and feeling that it was better than the first book… ever. It was a great surprise. 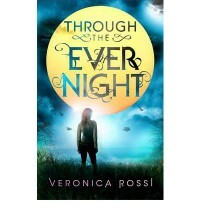 I absolutely love Veronica Rossi’s writing. It’s so beautiful and I couldn’t put the book down once I started it. I just had to keep reading. The characters are depicted so well, you can’t help empathising with them. I felt their emotions, I experienced their pain, and I absolutely hate Kirra… but that’s another story. I love Perry and Aria. Roar as well. They blend in so well together, each complementing each other and each being necessary to progress their development as characters. I felt it was the perfect middle book in a trilogy. 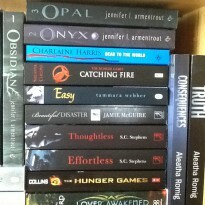 I hate to do it, but I have to bring Insurgent by Veronica Roth in here. Insurgent did completely the opposite to what Through the Ever Night did in spades. Insurgent left all the important information until the last couple dozen pages, deeming the book fairly unnecessary to progress the story. It felt like a boring and long winded summary of Divergent. In complete contrast, Through the Ever Night provided additional information from the first book and continued on creating an epic and fast paced story all of its own, bringing us right to the from door of the finale book, Into the Still Blue (which cannot be released soon enough for me! ) I feel it linked the first book and prepared us for the ending perfectly. Oh if only all trilogies were like this! I absolutely LOVED it. It's over. And it's so bitter-sweet! I have fallen in love with Karina's characters, and not just those in this trilogy, but in her other books as well. They are so life-like and refreshingly real. Ellie, Camden and Javier are reluctantly working together, and for those that have read Sins & Needles and Shooting Scars, you know that can only mean trouble. 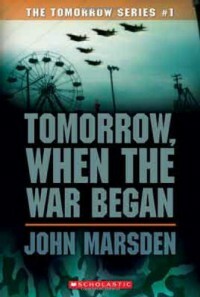 Tomorrow, When the War Began begins with seven teenagers – Ellie, Corrie, Homer, Lee, Kevin, Fiona (or Fi) and Robyn – going bush for five days before their school holidays are over. They head out just before Commemoration Day, and set off to a place known locally as Hell, complete with Satan’s Steps and all. When they return to Wirrawee, they realise that things have changed; drastically. They find nobody… This is their story of what they have to face, and what they had to do to survive. I was really fascinated during this book, and that’s a reaction I wasn't expecting to have. I thoroughly enjoyed the concept. It forces us looks at the possibility of an invasion of our own country, and how we would cope and react with the realisation that our families, friends and neighbours have been taken captive. One thing I loved; it kept me asking myself questions, like how would I really react in these situations. Everyone thinks they will act a certain way, but when the situation actually occurs, often it’s a very different reaction that’s taken. I really enjoyed the characters; I found it refreshing to be introduced to intelligent and well balanced seventeen year olds, and it’s such a treat to see this in a YA book. They constantly show a maturity far beyond their years, and yes, they were forced to grow up incredibly fast – almost overnight. I found it really interesting to see how each reacted to their new reality. They were put into a situation that is going to be very hard for anyone – young or old – to come to terms with. I just didn't get it. I didn't like it. The characters were annoying, in particular the Jacquelyn, Jen and Sally. The dialogue they used was painful to read. I think it was meant to come across as humorous; I just didn't get it. It was annoying to me. The characters are supposed to be seventeen, but they appeared very juvenile. I just… I… can’t take it seriously. Sorry, not my cuppa tea. But there was something that just kept me from flipping out and falling head over heels with it. I felt that all of the issues that were being dealt with in the book were addressed, but not in the detail that could have been entered into. It kind of felt a little too balanced if that makes sense. Everything blended together almost too well, with some things not popping out the way they could have done. Don’t get me wrong, I felt the emotions, I got the characters and I liked the story-line, but I just felt a little extra detail here and there would have pushed the book into awesomeness. Under the Never Sky is a dystopian novel, so the sometimes unfair yet inevitable comparisons to other books in the genre, such as The Hunger Games and Divergent, can be made. I loved it. I fell in love with the characters and the world that Rossi created. The language used has such elegance in its simplicity. It isn't contrived or trying to cover up questionable ideas with flowery words and pretentious prose. It flows beautifully, capturing you in the world and spins a web that draws you in. It was beautiful and captivating to read. 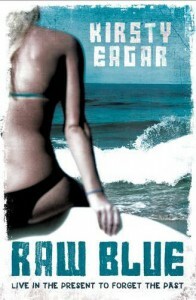 5 Stars Wow, what a roller coaster of emotions this book turned out to be. At times I was left completely amazed, angry, shocked, and then completely blown away and I'm just... speechless! 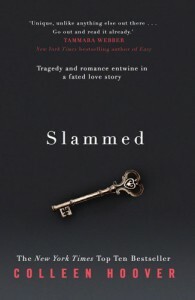 Ms Aleatha Romig, I really think you are a genius, I loved (and hated!) every page. You have done the unthinkable, I'm actually starting to, well I wouldn't say like, but understand Anthony Rawlings. Ok, maybe there is a little bit of like in there too! I never expected that. Amazing, just friggin' amazing. 3.5 - 4 StarsI really enjoyed Raw Blue. I think it depicts Carly's struggles to find herself and to find the strength to continue on with life really well. My only problem is I feel I didn't get to know the characters well enough. I guess I’m one of those people who believes that things happen for a reason. I’ve had the idea that I want to give blogging a shot, and maybe this is the time to give it a go. I haven’t fully explored everything here on BookLikes, but it seems like a good middle ground between Goodreads and a blog – a nice combination of the two. We will see how it goes! For the story: 4.5 to 5 Stars. Actual rating: 3.5 Stars. *I received this book as part of a Goodreads First Reads Giveaway*I hate giving this book only 3.5 Stars, but unfortunately I can’t justify giving it 4 or 5 – and I really wanted to! Overall I really enjoyed the story but… I have a pet peeve. The blame firmly lies on the shoulders of my Secondary School English teacher. He gave us a challenge – to read an excerpt from a novel of about 3,000 words and we had to make note of the amount of times “said” was used by the author in the dialogue. The next part of the challenge was for each of us to re-write the same passage, only using “said” twice and replacing the rest with other words. This trauma has been engrained in my mind and I find myself repeatedly noticing this while I’m reading over ten years later. 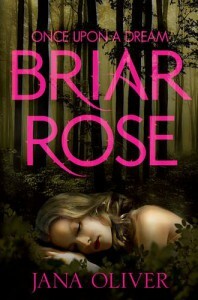 This pet peeve of mine was ignited with the amount of times “as if” was used in Briar Rose. I was pulling my hair out at around page 160. I doubt I would have noticed if it happened once every chapter or so, but when the same phrase appears on every other page, sometimes in adjoining paragraphs, it began to take its toll on my nerves. The editing was quite strange, with missing words littered throughout. As the book is coming from a publishing house, I kind of expected better, what with better access to editors etc., in comparison to some indie and self-published authors where I have found complete sentences! Focusing on the story itself, I really enjoyed it. 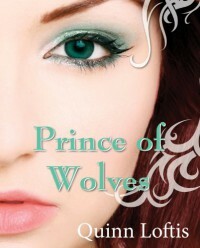 It was a good retelling of Sleeping Beauty with a few twists that I really liked. I kept trying to find excuses to continue reading, and when that happens I know I have found a book I really do like. I liked the characters, but they will stay firmly in the “ok” pile. Something was holding me back from really loving them. I like Joshua’s character, but I felt the author didn’t show us his strengths enough; she relied on Briar telling us about them. Now, I can believe them, but I want to actually experience and notice these moments myself, not just a recounting of them from one of the characters. On a side note: The cover is beautiful! It looks so much prettier in reality than it does on screen.In short, I really loved the story, but it’s a shame the editing let it down, and for that I can’t rate it higher or amongst my favourites, and I do think I could have done otherwise. 4 Stars I enjoyed Obsession, but I didn't find it as captivating as the Lux series. I knew a certain green eyed alien was making an appearance, and that was the main reason I decided to read it. It was nice to see things from an Arum's perspective, but I still firmly remain on Team Luxen - or Team Daemon to be more accurate. I can't wait for Origin now, as quite a few hints were dropped as to what to expect in the final two books of the series. My Daemon withdrawals have increased tenfold now... Bring on Origin! Now... please! Opal is book three in the Lux series by Jennifer L. Armentrout, and I will happily admit it is my favourite so far – and each one before that was my favourite too! We re-join Daemon and Katy trying to come to terms with the loss of Adam in Onyx. 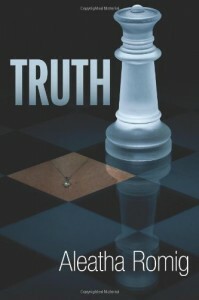 Friendships are strained as a result and knowing who to trust is becoming harder with each decision made. Friends become enemies, and old adversaries become unwilling allies. An old enemy – Blake – and his unwanted and unexpected return causes tensions to run high between Daemon’s siblings and fellow Luxen. With the knowledge that Blake holds, there can only be one choice, and that is to go along with his plans…To prevent me from becoming a puddle of mush and gushing about Daemon Black and proclaiming my love for a fictitious character, I have to mention that Jennifer Armentrout is a fantastic character builder. Her characters have grown and developed steadily and realistically in each book. It’s such a nice thing to find in a YA series – or in any series or stand-alone novel in honesty! She draws out emotions so well you can’t help bonding with the characters and being transported into the world of the Luxen and praying the book will magically gain another few hundred pages so you don’t have to stop reading and close the book on its final page. Katy is one of the few female protagonists I really like. She has her own mind, makes her own choices and has the courage to stand up and take the repercussions for those choices. And Daemon… Daemon, Daemon, Daemon - I have got to admit, I end up with a goofy grin plastered on my face anytime he’s in one of his “I’m just that awesome” moods. He is so infuriatingly hilarious. There is one heck of cliff-hanger ending at the end, and I know that’s not to everyone’s tastes, but if you’re on the fence about starting this series, I would highly recommend giving it a shot – start and progress in order, and I don’t think you’ll regret it. The release date of Origin has been announced (27 Aug, 2013); not too far away and plenty of time to start the series – or to re-read! 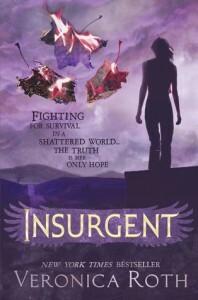 2.5 - 3 StarsI'm quite disappointed with Insurgent. I really enjoyed Divergent; it was fast paced with amusing characters, but Insurgent fell flat.Tris and Tobias appears to have had personality transplants, I barely recognised them. And this is from someone who read Divergent about a month or so ago. I didn't see a point to a dystopic city then, and I’m still not sure of a point. Hopefully it will be explained properly in the last book in the trilogy. 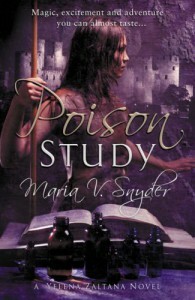 5 Plus Stars I'm pretty sure this is how I reacted during quite a good portion of this book:Poison Study has to be one of the best books I have read this year, it's certainly in my top 5. I absolutely loved every page. Well, this is a very rare occurrence for me. I don’t really nit-pick the bad points out of a book, I usually make my judgement on the overall feeling I get from a novel. If there are things that annoy me, usually the overall impression of the characters and the story makes me overlook a lot of the negative. 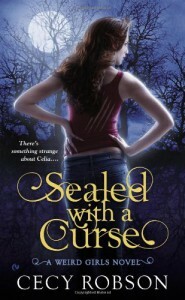 Unfortunately, there wasn’t anything I particularly enjoyed about Sealed with a Curse, which emphasised my overall dislike and, if I’m honest, increased my annoyance with several problems I had with the story. A glaring inconsistency that I just couldn’t ignore is the claim in the synopsis on the back cover: “Everyone knows vampires aren’t aggressive”. Yet, this is completely contradicted in the novel. It takes very little or no provocation for a huge scene to erupt with body parts flying everywhere. And that leads onto another problem – the fight scenes were very disjointed, and I couldn’t follow what was supposed to have occurred without back tracking. A lot more detail would have rounded this out and made things flow from page to page. The characters are very one dimensional, not fleshed out at all. Both the characters and the plot left me making way to many comparisons to other book series and to TV shows. It was like a very strange mish-mash of True Blood/ the Sookie Stackhouse book series, Charmed (a very similar sister situation), Buffy and Angel (a vampire with a soul anyone??) and Twilight (if I saw the word “treaty” mentioned between the vamps and weres one more time…!) to name a few. Another annoyance for me was the constant use of italics to distinguish a supernatural (power or person) e.g. : “my ability to change into another creature”; “ Shift out of there if you see anything creepy”; “The mere mention of the weres made me sick” and so on. In my opinion, I think it’s completely unnecessary to highlight these! The vast majority of paranormal readers will know what a “were” is or what to “shift” is without it being in italics! I found that they kept disrupting the flow of sentences, and drew attention to unnecessary words, skipping over the important stuff. By the end of the book, I was constantly rolling my eyes whenever they appeared. I know this could be seen as a minor complaint… but it drove me to distraction! Another issue I had that could have been avoided with a Google search: Celia is a tigress. Yet during one scene she and her “beast” are afraid of drowning. The majority of tigers actually love the water, and I found it completely laughable to think a tiger would be afraid of drowning.From all the glowing 4 and 5 star reviews, I was hoping I had found a new paranormal series to sink my teeth into. I might have had too high expectations, which left me obsessing on details that I would, and could, overlook if the story and the characters grabbed my attention from the first few chapters. This wasn’t the case. Unfortunately, I won’t be continuing on this journey with the four Weird Sisters.